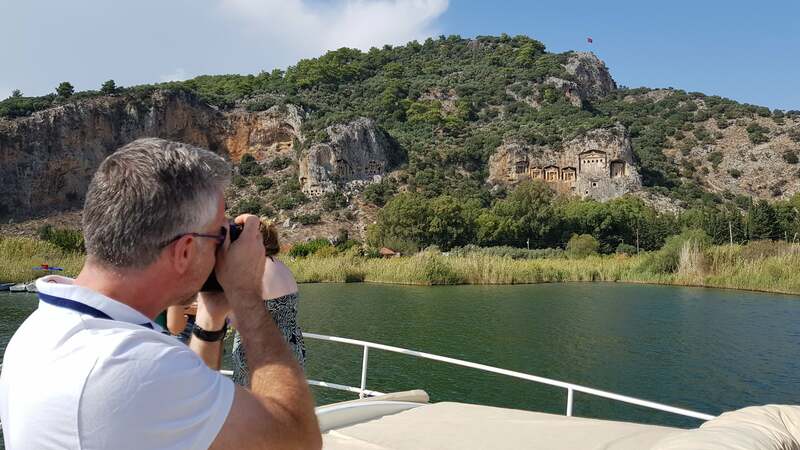 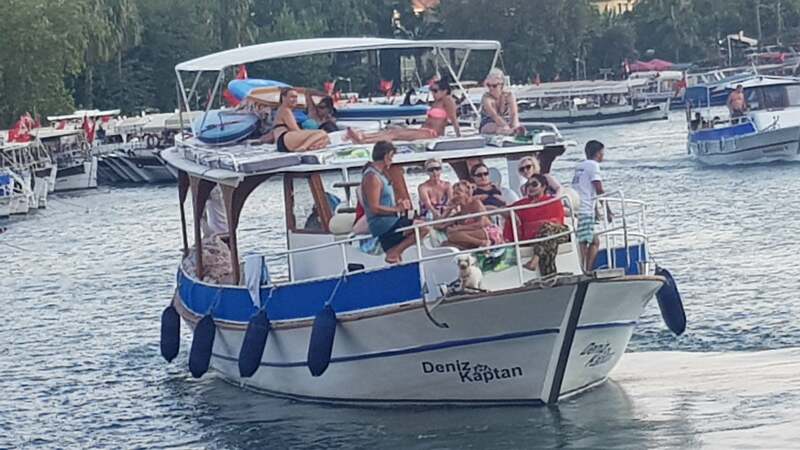 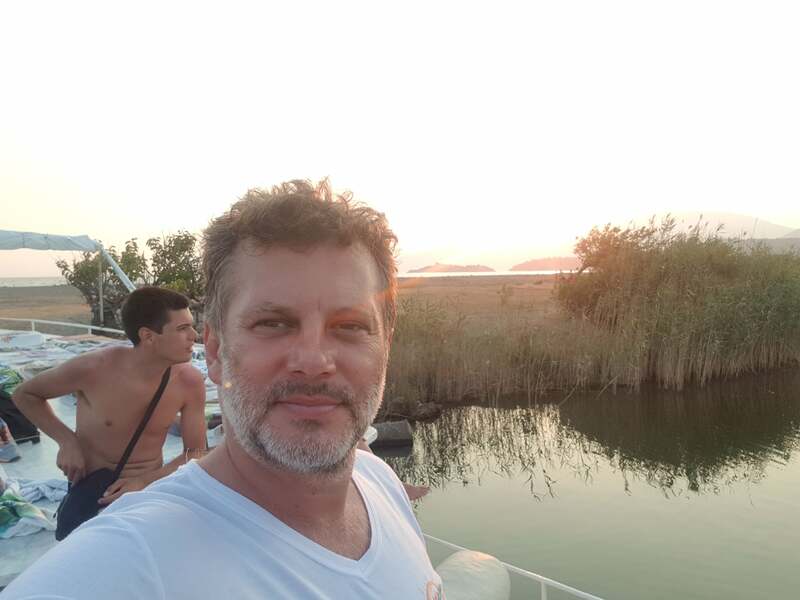 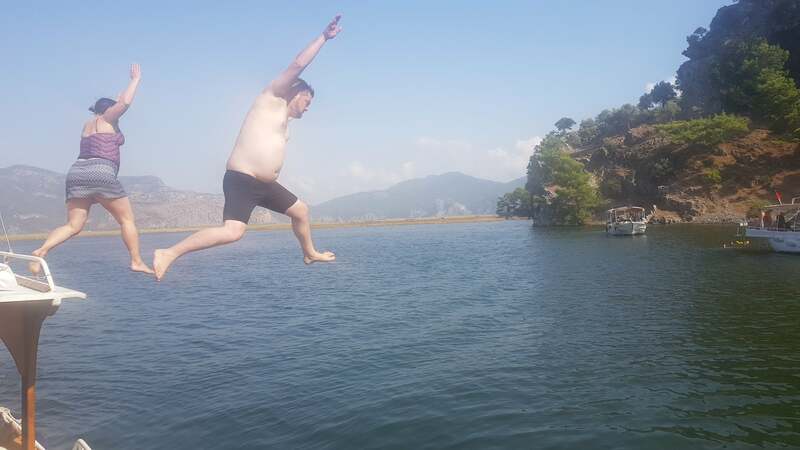 Brand new for 2019, join Volkan’s Adventures as we show you the beauty of the area on this Dalyan Classic boat trip. 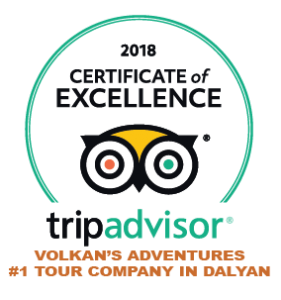 Incorporating hidden gems, fascinating sights and intoxicating scenery, this is one day you will remember for a lifetime. 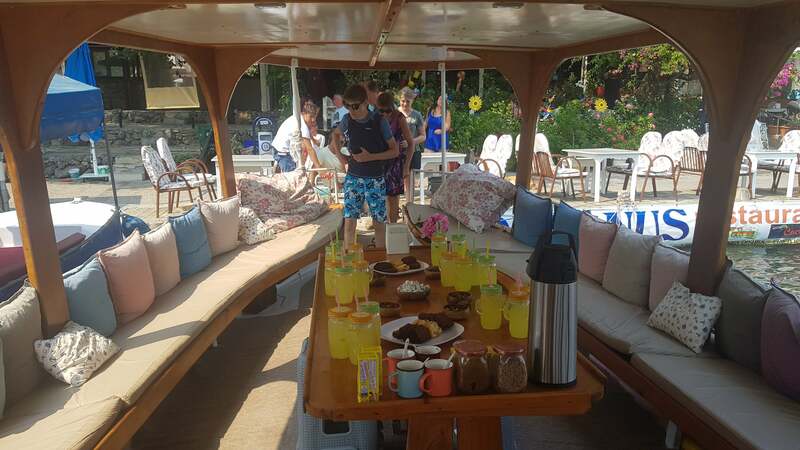 Beginning our day at 10am when we meet at our office, after making the short journey to the harbour you will be greeted by captain and crew with a welcome tea or coffee as you choose your seat ready for the adventure to commence. 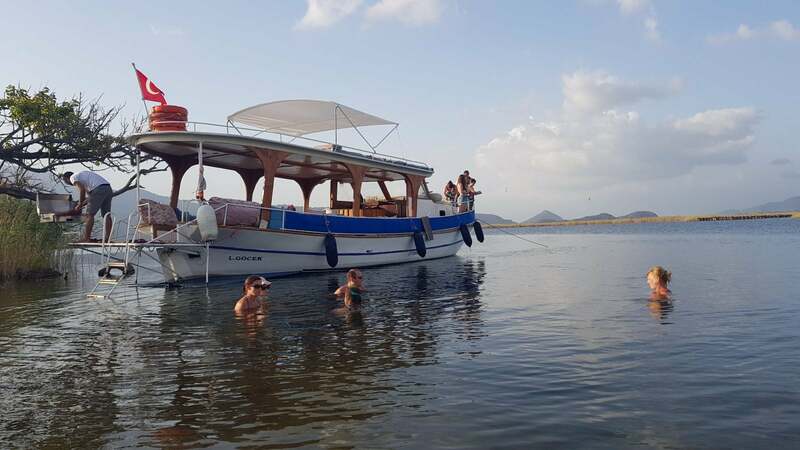 Relax on the comfortable seating at the rear of the boat or lounge on one of the many sunbeds both at the front or on the top deck as we set off towards our first destination, the magnificent volcanic lake. 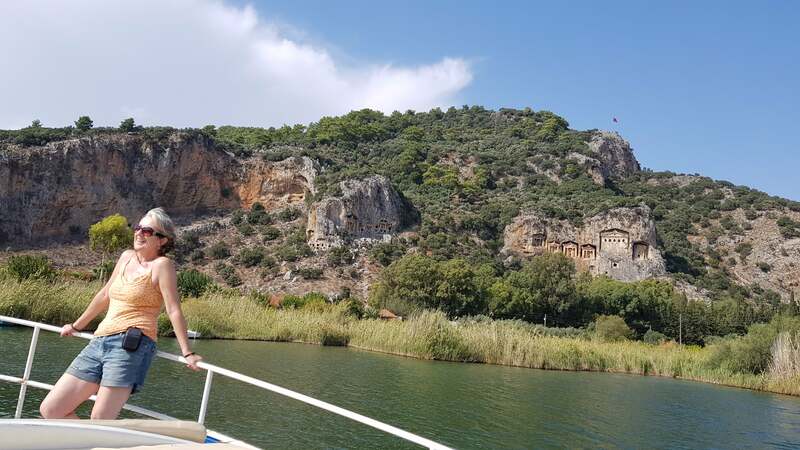 As we stop here, marvel in the views of the mountains and nearby towns, or immerse yourself in the soothing water. 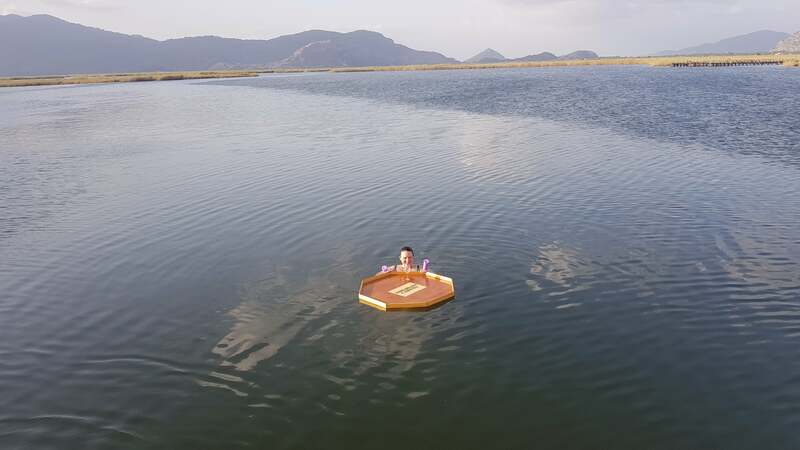 With a temperature of 40 degrees celsius at the very bottom getting progressively cooler towards the surface, it really is like relaxing in a warm and tranquil bath. 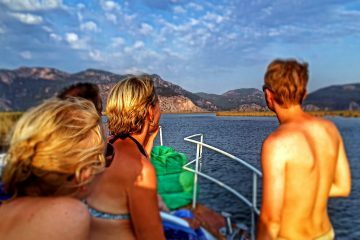 TIP: If you enjoy being at one with nature, why not try our unique and exclusive Akkaya Sunset trip? 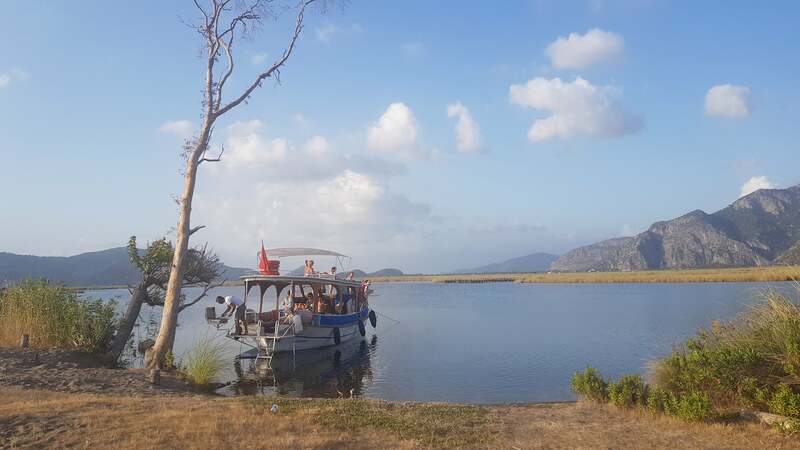 Once we are ready to venture onwards, we will make our way to the world famous Iztuzu Beach, breeding ground for Caretta Caretta turtles found in Dalyan. 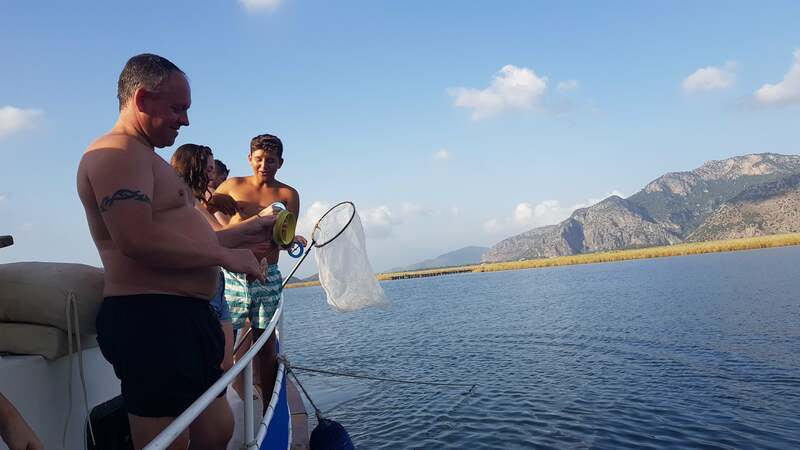 Upon arrival, make the most of the gorgeous sands and tantalizing sea before you, or have some healthy competition with your fellow guests and try your hand at a spot of crab fishing! 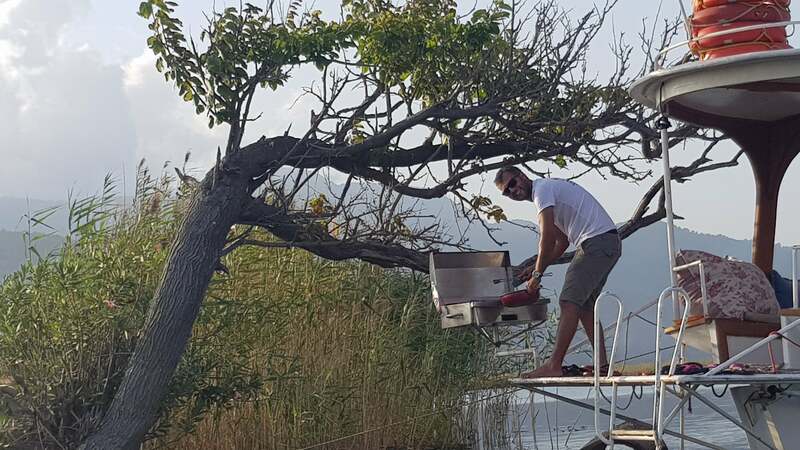 Whilst our captain prepares for you a sumptuous feast of chicken and homemade meatballs on the on board bbq, enjoy a cool drink from the bar whilst relaxing on the top deck in the sunshine. 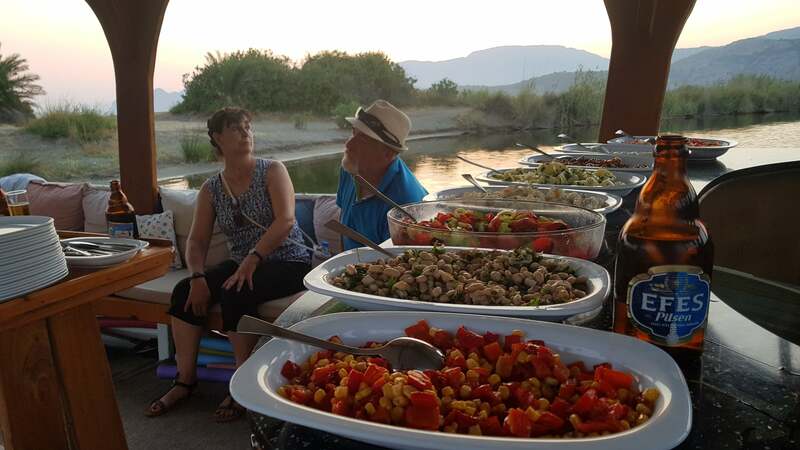 Accompanying the bbq will be a huge selection of freshly prepared mezes, salads and breads for you to savour. 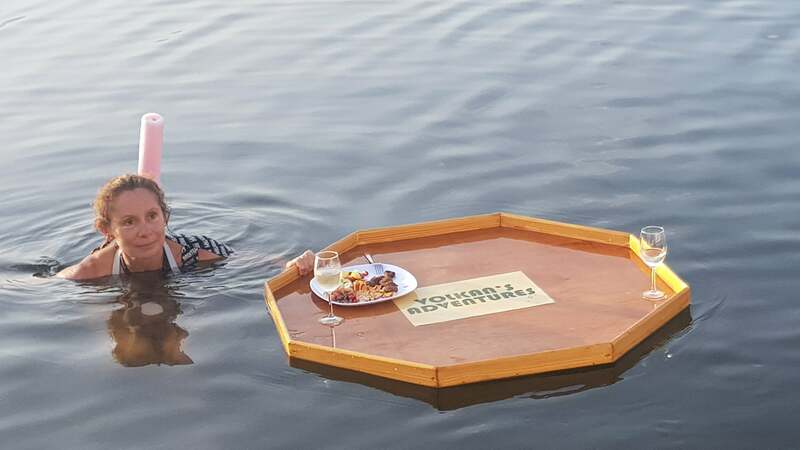 Fish, vegetarian and vegan options are available if requested at the time of booking. 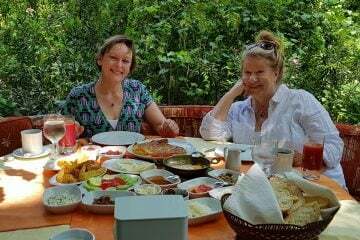 All dietary requirements can be catered for. 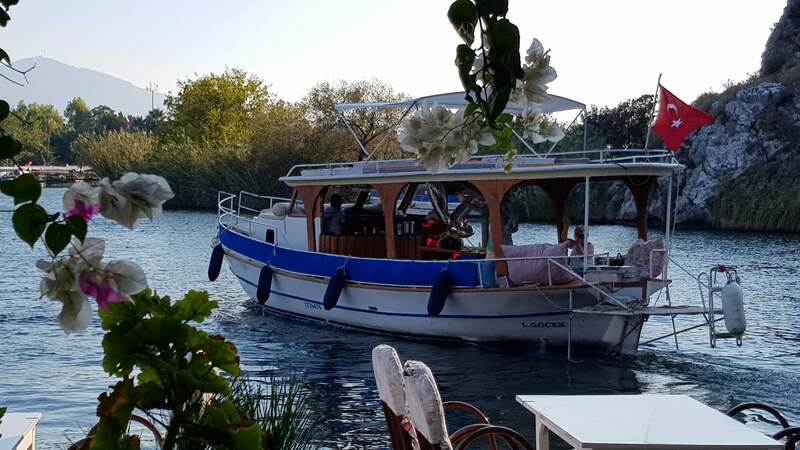 As we depart the beach, why not treat yourself to one of our freshly made cocktails as you take in the magnificent surroundings on the tranquil journey towards one of the areas premium attractions, Sultaniye mudbaths. 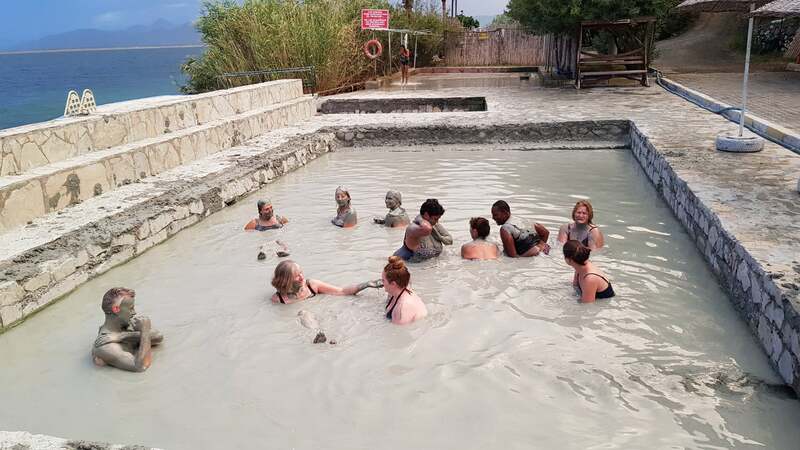 Authentically turkish, these mud baths are proven to have healing properties against a huge range of ailments including muscle and joint pain, arthritis and skin conditions. 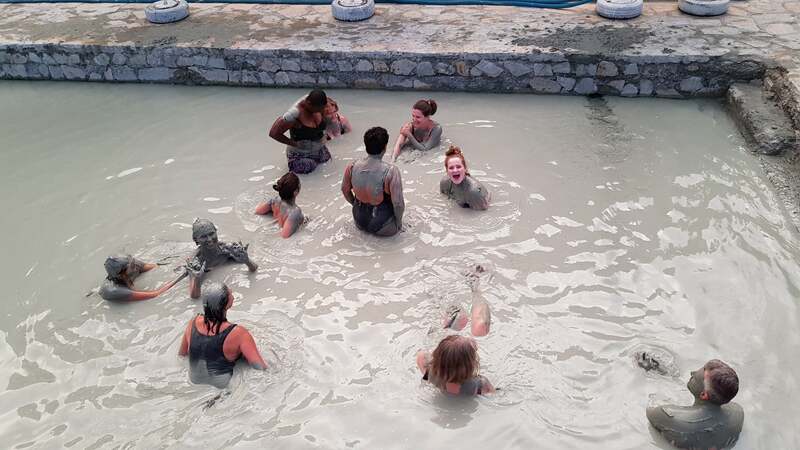 The nutritious properties found in the mud combined with the vitamins found in the sulphur pool will leave you feeling relaxed yet energised for days to follow. 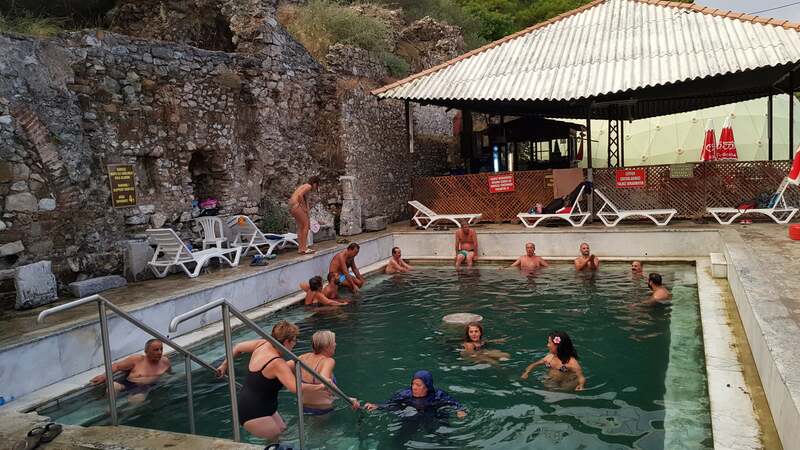 There are also indoor swimming pools to use, two cafe areas and a Fish Doctor station – so why not treat your feet too! 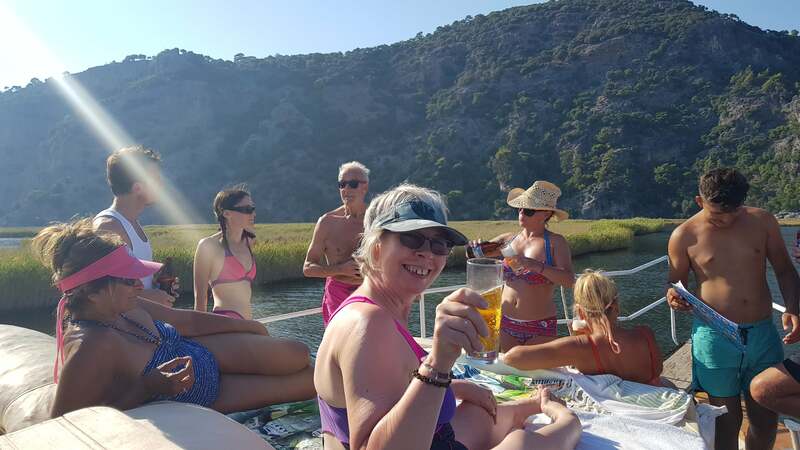 Once our time at Sultaniye is complete we will reboard our boat and make the short journey back to Dalyan with the aim to arrive at approximately 5pm. 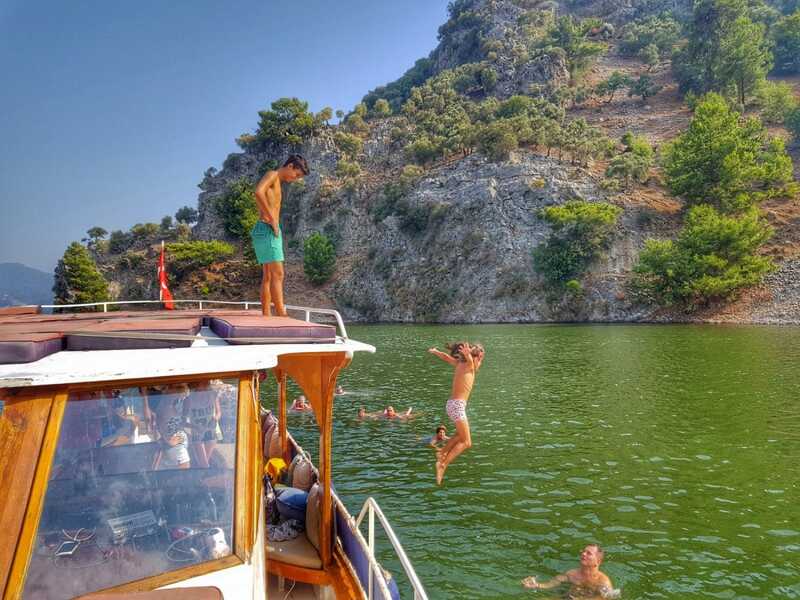 DEPARTURE TIME Please be ready by 9.45 AM for a prompt departure at 10:00 AM.